The immune system as a whole may be visualized as consisting of two major components: cellular and humoral immunity. Both respond to foreign proteins or other antigens. The y-globulin fraction of plasma antibodies constitutes the humoral mechanism, whereas cellular immunity refers to lymphocyte products (lymphokines, e.g., the interleukins). The humoral mechanism protects against bacterial infection, whereas cellular immunity generates delayed allergic reactions and rejections of foreign tissue transplants or tumor cells. 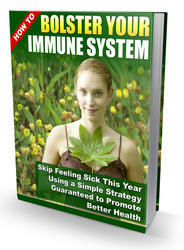 It neutralizes infections by viruses, fungi, and some bacteria. The development of these systems is outlined in Figure 17-5. Precursor cells destined to become lymphocytes originate in the yolk sac and find their way into the developing fetus. Those populating the thymus mature under the stimulation of thymic hormones into T-cell lymphocytes responsible for cellular immunity. 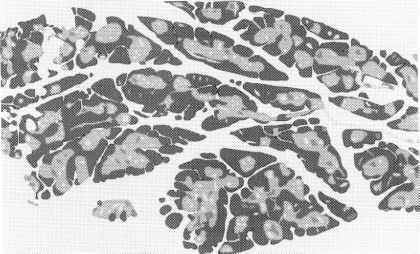 FIGURE 17-4 Normal child's thymus showing lobular structure. The thymus is derived from the entoderm of the third and fourth branchial arches with a probable contribution from the cervical sinus. Essentially the thymus is an epithelial organ and may be viewed as a foregut derivative. The characteristic lobular structure shown here appears in the third intrauterine month. Before then the rudimentary thymus is an epithelial organ. A capsule binds the periphery of the lobule, from which the connective tissue septa are derived. Each lobule is composed of an outer darkly stained cortex and an inner paler staining medulla, which is continuous throughout each half of the gland. FIGURE 17-5 Development of the immune system. Reproduced with permission from Ganong, W. F. (1995). "Review of Medical Physiology." Appleton and Lange, Norwalk, CN.